This is not rare. Civilian casualties in Palestinian-controlled areas are common — not because Israel is targeting civilians but because Palestinian forces often target civilians as human shields to protect against Israeli strikes. And the media often buys the propaganda efforts of Palestinians attempting to demonstrate the supposed evils of the Jews. Israel is under assault, as usual, by both a Palestinian population largely interested in its destruction and a media that refuses to believe that uncomfortable fact. Meanwhile, President Obama is heading to Israel where he will likely call for a renewal of the failed "peace process" — a process that has resulted in thousands of deaths, both Palestinian and Jewish, and has brought Israel no closer to peace. 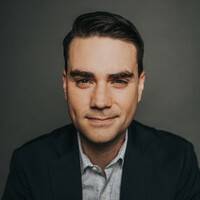 Ben Shapiro, 29, is a graduate of UCLA and Harvard Law School, a radio host on KRLA 870 Los Angeles, and Editor-At-Large for Breitbart News. He is the New York Times bestselling author of "Bullies: How the Left's Culture of Fear and Intimidation Silences America." To find out more about Ben Shapiro and read features by other Creators Syndicate writers and cartoonists, visit the Creators Syndicate website at www.creators.com.